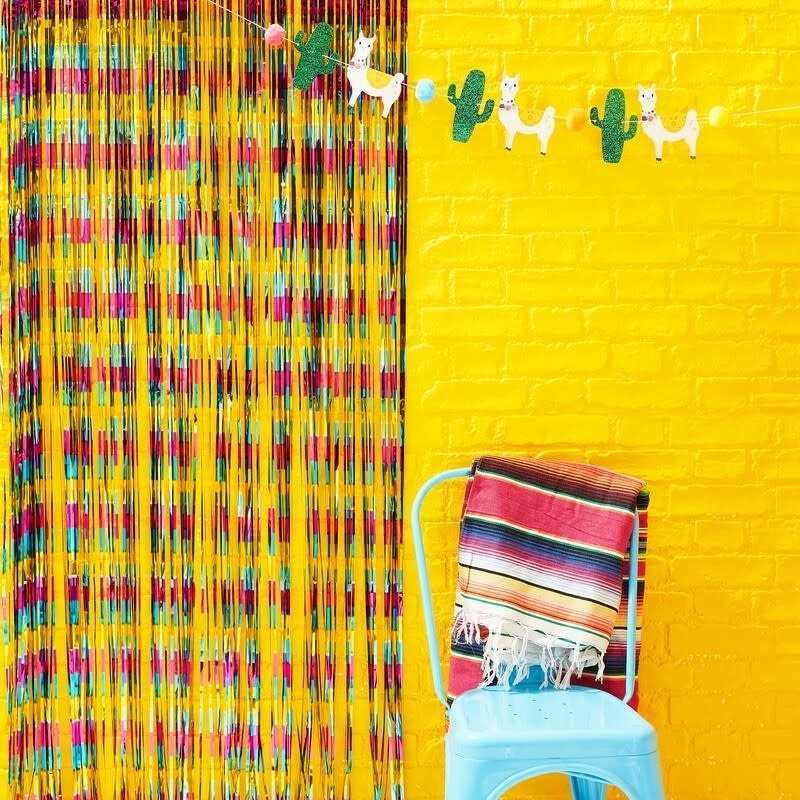 Decorate you fiesta in style by hanging this multi coloured Fringe Curtain at your next party! The stunning foil shimmers and shines - perfect for all special occasions. Simply hang the fringe curtain on walls and doors to create a unique party set-up! The fun foiled fringe curtain is perfect for all ages and genders! Each pack contains 1 fringe curtain measuring: 90cm (W) x 240cm (H).